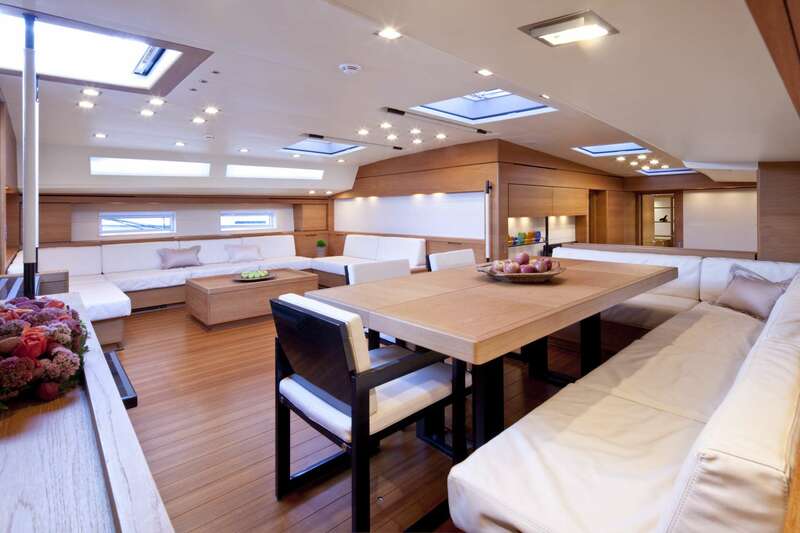 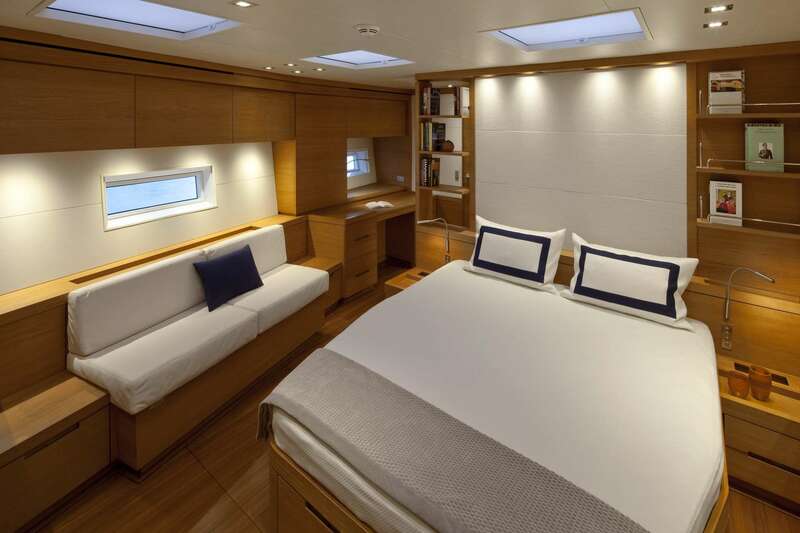 Photos of interior and sailing: Courtesy of Southern Wind Shipyard. 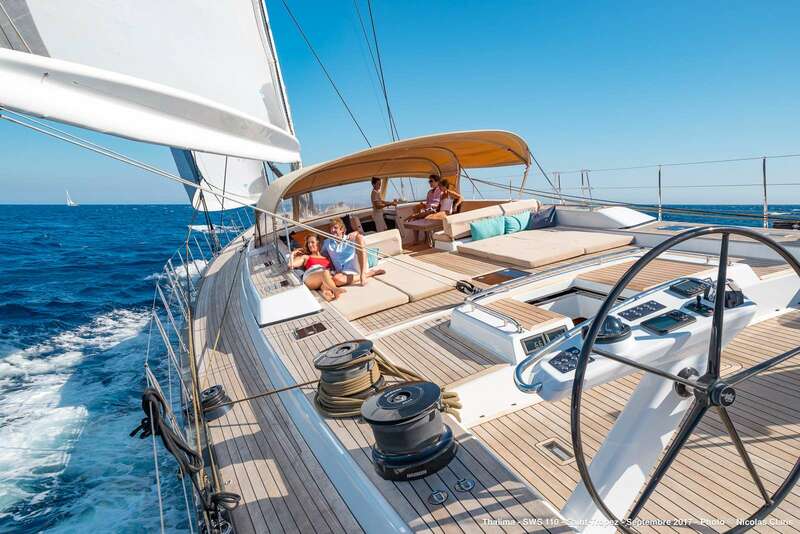 Photos of cockpit and sailing with guests: from the photograph Nicolas Claris. 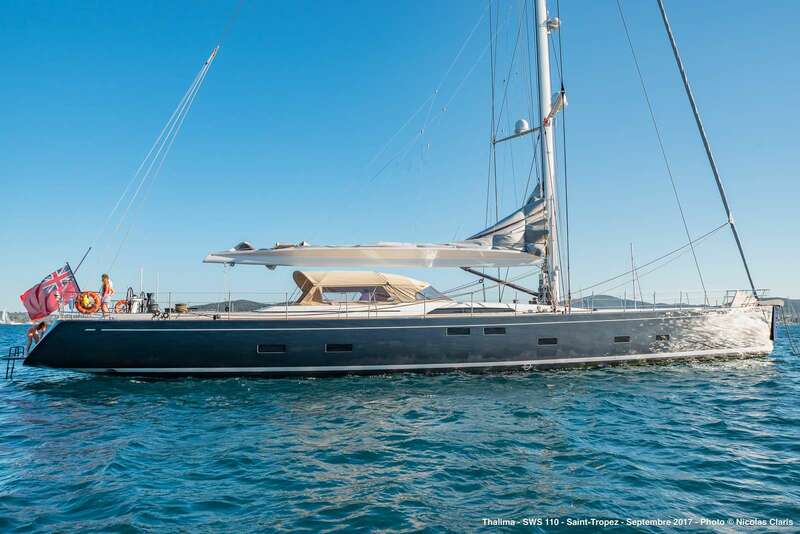 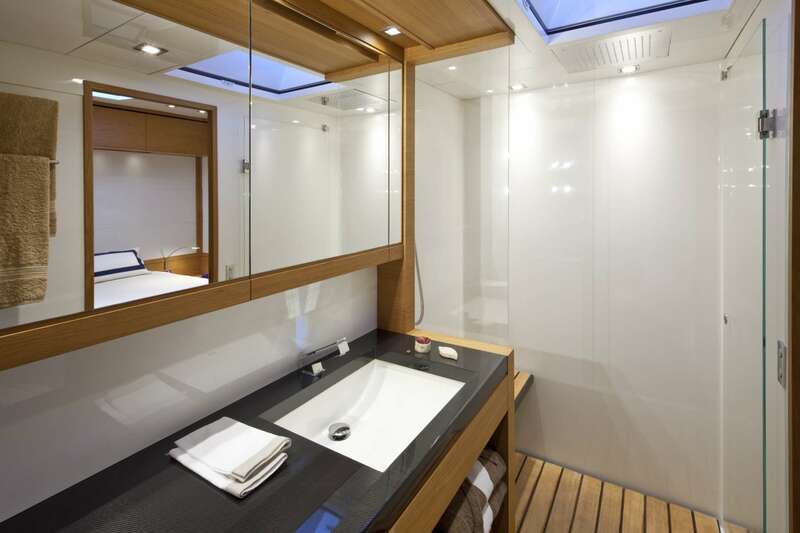 - A Master cabin: with a king-size bed and a full beam bathroom (with bath, bidet) with led light therapy. 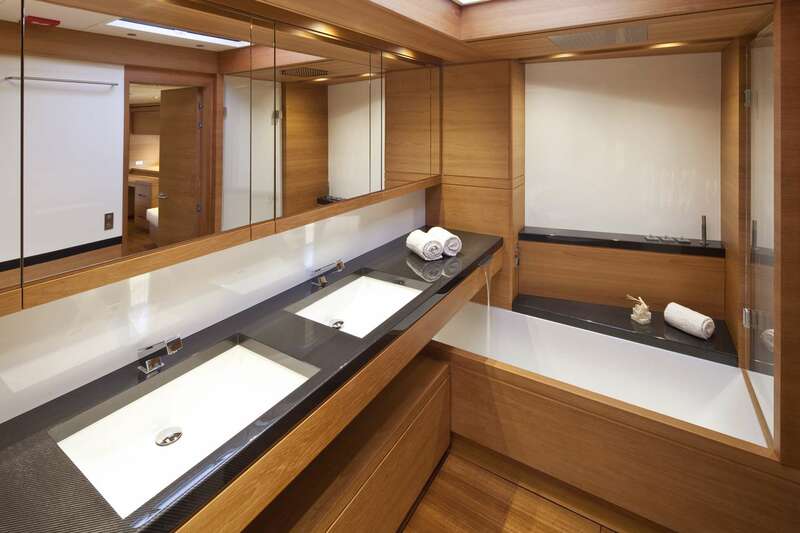 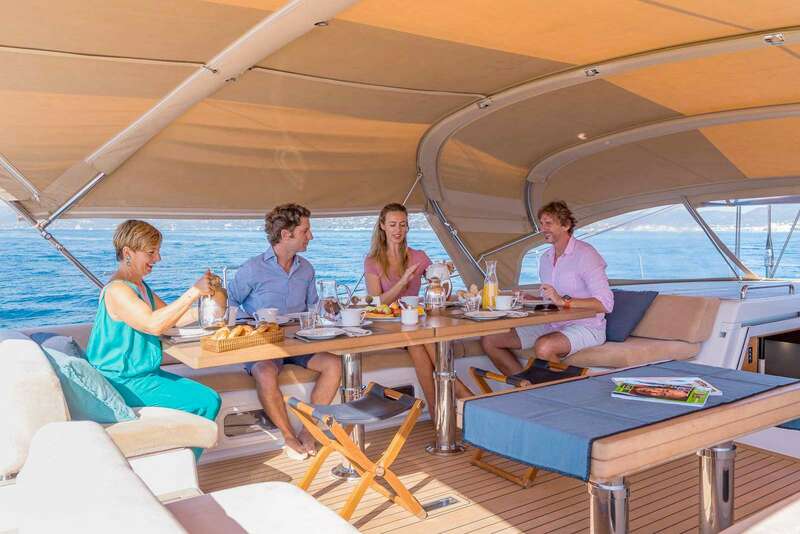 - A VIP cabin: with a king-size bed and a spacious bathroom with carbon-fibre sinks and also with led light therapy. 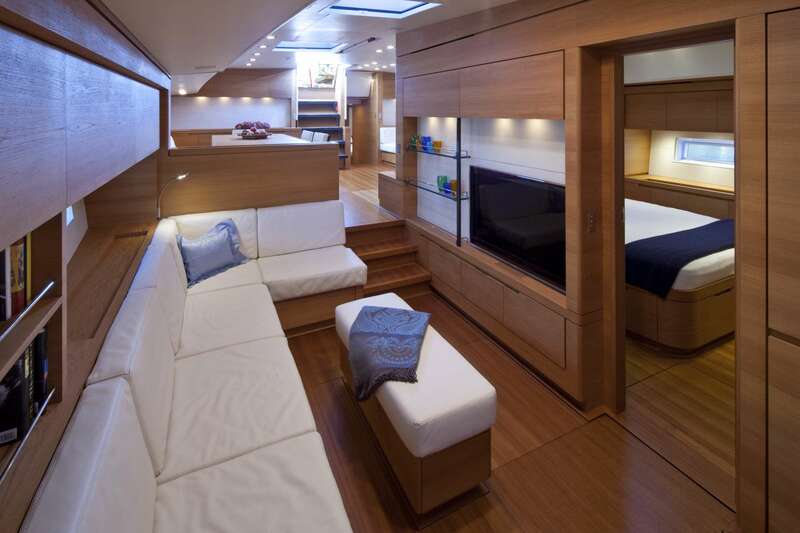 - 2 Twin bed cabins, both with en-suite bathroom. 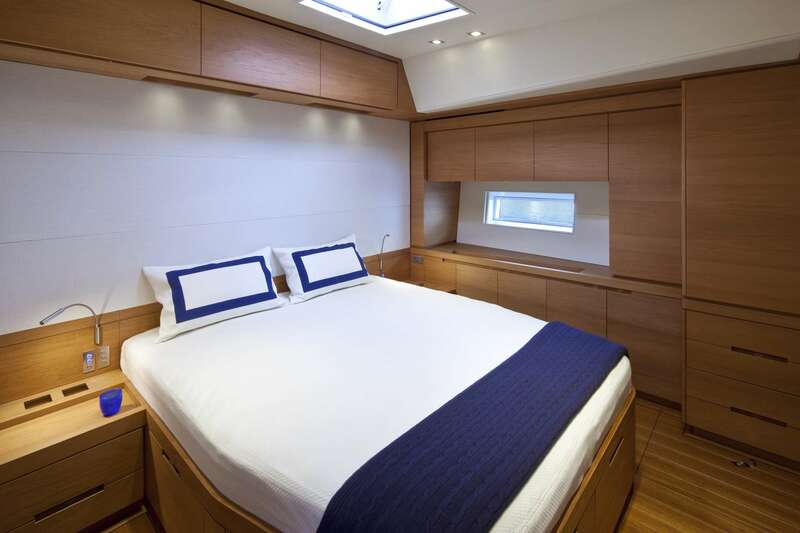 - 2 pullman berts, one in each twin bed cabin.